Background to formation of CLRDC could be traced far back as the late 1980’s amid socio-political upheavals in South Africa and particularly rural communities who were worse hit by apartheid policies of separate development. As a specific response thereof, the then Community Law Centre (CLC) and now CLRDC was conceived to provide a platform for these communities to access basic form of justice and development to address issues affecting them. The role of Traditional Leaders and their constituencies were vital in accepting and piloting the initial years of the organisation. CLRDC’s strength and its pride lie in its successful model of establishing and sustaining a network of its CAOs. From the humble beginnings in late 1980’s with only five (5) communities, the organisation boast of a network of thirty (30) Community-based Advice Offices spread around twenty-one (29) of fifty-one (51) Local Municipalities in KZN and some parts of the Eastern Cape. Each of the network office is staffed by qualified and experienced Paralegal/s who helps dispense access to primary justice, information and legal services and alternative forms of dispute resolution to cases. Other than being the leading training center for accredited Paralegals, with Diploma in Paralegal Studies, CLRDC has also trained AmaKhosi and Paralegal Management Committees (who received Certificates of Competence in relevant fields of law and human rights). It also participates in Civic and Voter Education, Elections Observation (national, provincial and local government elections from 1994 and subsequent election years thereafter. It has produced simplified Constitutional rights series and translated these into IsiZulu language which simplified the Constitutional Bill of Rights. Contact us at the CLRDC office nearest to you or submit a business inquiry online. 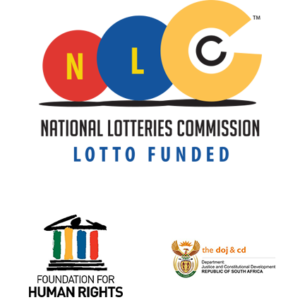 Mr Sithole is an Executive Director of Community Law and Rural Development Centre and Ex-officio member of the Board, as its Secretary. He has been the helm of the organisation from 1 July 2012. Mr Sithole holds a Masters Degree in Social Science from the University of KwaZulu-Natal and has led a number of projects as a Co-ordinator. He has more than 20 years working in the NPO sector. Get in touch with a paralegal nearest to you. CLRDC has for more than the last two and a half decades, provided true, reliable and unbiased information to rural communities, its primary beneficiaries, and continues to be a welcome source of information to rural citizens. The analysis of information obtained from communities has helped the CLRDC to shape its programmes to meet the needs of rural communities.